The study shows that 15 of the 16 coldest summers recorded between 500 BC and 1,000 AD followed large volcanic eruptions – with four of the coldest occurring shortly after the largest volcanic events found in record. In total, a diverse research group of 24 scientists from 18 universities and research institutes in the United States, United Kingdom, Switzerland, Germany, Denmark, and Sweden contributed to this work – including specialists from the solar, space, climate, and geological sciences, as well as historians. 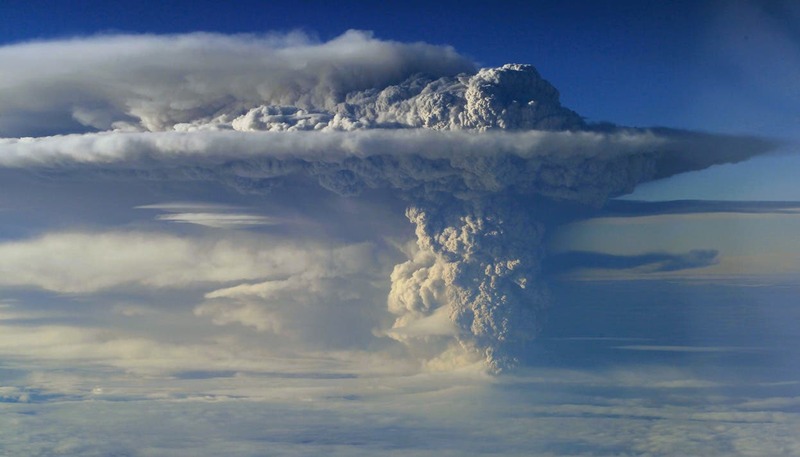 Tropical volcanoes and large eruptions in the Northern Hemisphere high latitudes (such as Iceland and North America) – in 536, 626, and 939 CE, for example – often caused severe and widespread summer cooling in the Northern Hemisphere by injecting sulfate and ash into the high atmosphere. These particles also dimmed the atmosphere over Europe to such an extent that the effect was noted and recorded in independent archives by numerous historical eyewitnesses. This pattern persisted for almost fifteen years, with subsequent crop failures and famines – likely contributing to the outbreak of the Justinian plague that spread throughout the Eastern Roman Empire from 541 to 543 CE, and which ultimately decimated the human population across Eurasia. "As a result," McConnell added, "climate variability observed during more recent times can be put into a multi-millennial perspective – including time periods such as the Roman Warm Period and the times of significant cultural change such as Great Migration Period of the 6th century in Europe." This research was largely funded by the U.S. National Science Foundation's Polar Program; with contributions from additional funding agencies and institutions in Belgium, Canada, China, Denmark, France, Germany, Iceland, Japan, Korea, The Netherlands, Sweden, Switzerland, and the United Kingdom. About the Desert Research Institute: DRI, the nonprofit research campus of the Nevada System of Higher Education, strives to be the world leader in environmental sciences through the application of knowledge and technologies to improve people's lives throughout Nevada and the world.